Born on May 4, 1929, in Brussels, Belgium. A talented performer, Audrey Hepburn was known for her beauty, elegance, and grace. 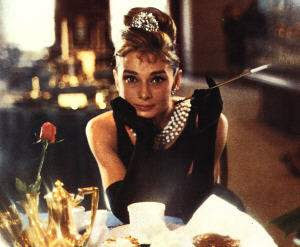 Often imitated, she remains one of Hollywood’s greatest style icons. A native of Brussels, Hepburn spent part of her youth in England at a boarding school there. During much of World War II, she studied at the Arnhem Conservatory in The Netherlands. After the Nazis invaded the country, Hepburn and her mother struggled to survive. She reportedly helped the resistance movement by delivering messages, according to an article in The New York Times. That same year, Hepburn made her feature film debut in 1951’s One Wild Oat in an uncredited role. She went on to parts in such films as Young Wives’ Tales (1951) and The Lavender Hill Mob (1951) starring Alec Guiness. Her next project on the New York stage introduced her to American audiences. 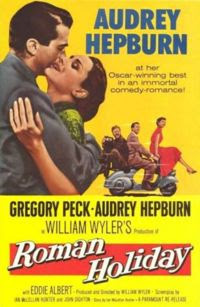 Only a few weeks after the play premiered, news reports indicated that Hepburn was being wooed by Hollywood. Only two years later, she took the world by storm in the film Roman Holiday (1953) with Gregory Peck. Audiences and critics alike were wowed by her portrayal of Princess Ann, the royal who escapes the constrictions of her title for a short time. She won the Academy Award for Best Actress for this performance. Her work to help children around the world continues. Her sons, Sean Ferrer and Luca Dotti, along with her companion Robert Wolders, established the Audrey Hepburn Memorial Fund to continue Hepburn’s humanitarian work in 1994. It is now known as the Audrey Hepburn Children’s Fund. Audrey Hepburn's delectable, Oscar-winning American debut. She plays a teenage princess on holiday in Rome who ditches her royal chaperones to gallivant around town on the arm of Gregory Peck. Unbeknownst to her, he's a reporter angling for a big scoop. What might have been a run-of-the-mill romantic comedy turned out to be one of the most charming films of the '50s under the sure hand of director William Wyler. One of a kind to say the very least, Audrey Hepburn came to Hollywood, skinny, with bushy eyebrows and rat-gnawed bangs-- yet she changed the definition of class and glamour for a generation and the effects can still be seen today. But Audrey was not a fashion model. Besides a pretty face, she was a fine actress and scored hits in several romantic comedies as well as a few dramas-- overall earning five Best Actress Nominations. "We were young. We were beautiful. We lived for each other." 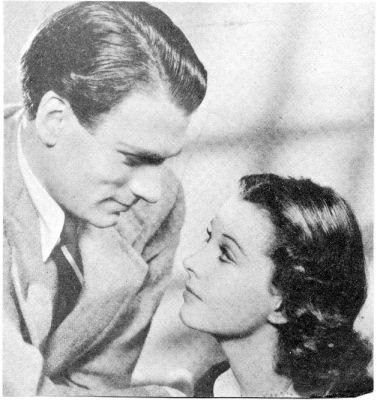 --Vivien Leigh on her marriage to Laurence Olivier after their divorce. " He is an actor who many consider to be the greatest in the English-speaking world during the twentieth century. 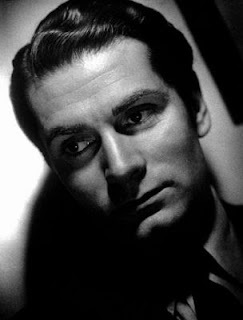 Though Sir Laurence Olivier was based mostly in England, he made a significant number of Hollywood films. He was nominated for Academy Awards as either an actor, producer or director twelve times, winning twice, while also being honored with two special Oscars. In his long and versatile career, Olivier appeared in more than 120 stage roles, nearly 60 films and more than 15 television productions. Did you know that Laurence Olivier was originally going to play Don Vito Corleone in "The Godfather" (1972) because he had a perfect italian accent which was needed for the part, but at the last moment he fell ill and he was replaced by Marlon Brando. Welcome to the Teens for Old Cinema WebBlog! The idea for this site came from a friend, 'Sabrina'. It started on Youtube and then spread to our own blog! :) This site was made for young people to come together, and keep film history alive. We often update, so keep checking back with us! :o) If you wish to have your name (pen name is prefferable, for your privacy) added to our members list, simply leave a comment expressing so under any post. We would love to put your name up on our weblist! We like to keep track of how many members we have, and how many 'guests' stop by. :) Stay tuned!